To be completely forward, I seriously have not the slightest clue as to why anyone would think bloggers would work for free. It is completely absurd and honestly, downright rude to not only think that, but to ask that! Do you work for free? No, I didn’t think so. Then, maybe now you can start to understand our frustrations when brands just expect us bloggers to work for free. Asking us to work for free is flat out ridiculous, and frankly, it’s an insult. Just the other day I had a huge, popular brand reach out to me about working together. I was ecstatic, as I was hoping to reach out to them for a collaboration soon. I sent them back a short email on how I was excited to work with them and asked them to send me more details. The next day, I received an email back from them with more details, but the entire tone of the email was very demanding. 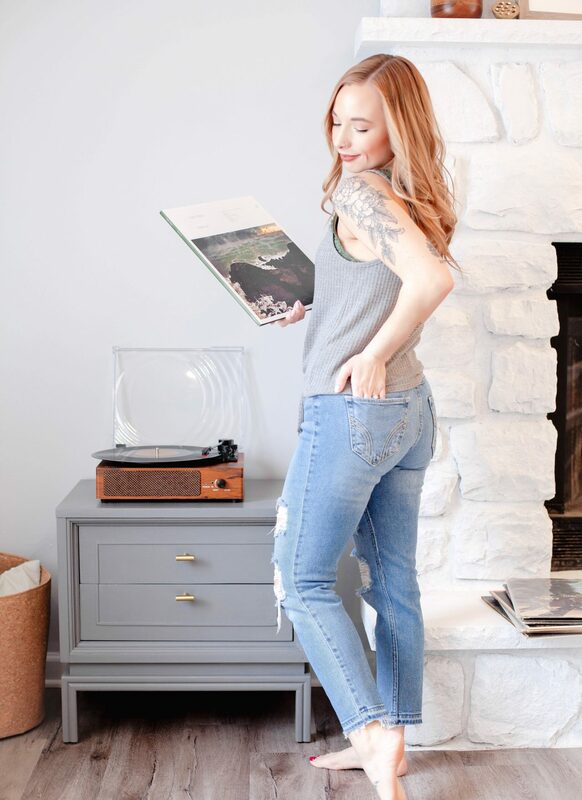 They said they’d send me 1 clothing item of choice for free (worth about $20, if that) if I wrote a blog post about their brand, as well as sharing about them across all of my social media platforms. They also told me to put their promotion icon on my blog sidebar. The wording of this email seriously took me off-guard and I was left feeling kind of degraded. Great. I really look forward to coming up with a collaboration that will highly benefit both parties here. I’m linking my Media Kit below, which contains my rates and services. I cannot accept just one free shirt as compensation, as I am a professional; this is my job. You’re asking me to put all of my effort, creativity, time, and talent into creating great content for your brand, which I would love to do, but I simply cannot work for free. Please, review my rates and let me know if we can figure something out. I hope that we can figure out a collaboration that will benefit the both of us. I also cannot add your promotional icon on my blog, as you’d need to compensate me for separate (not related to the post) advertising fees, as well. Here is my Media Kit. Please, let me know if you have any questions! Brands, if a blogger or content creator spends their time and talent on promoting your brand, they deserve to be compensated. Point blank. 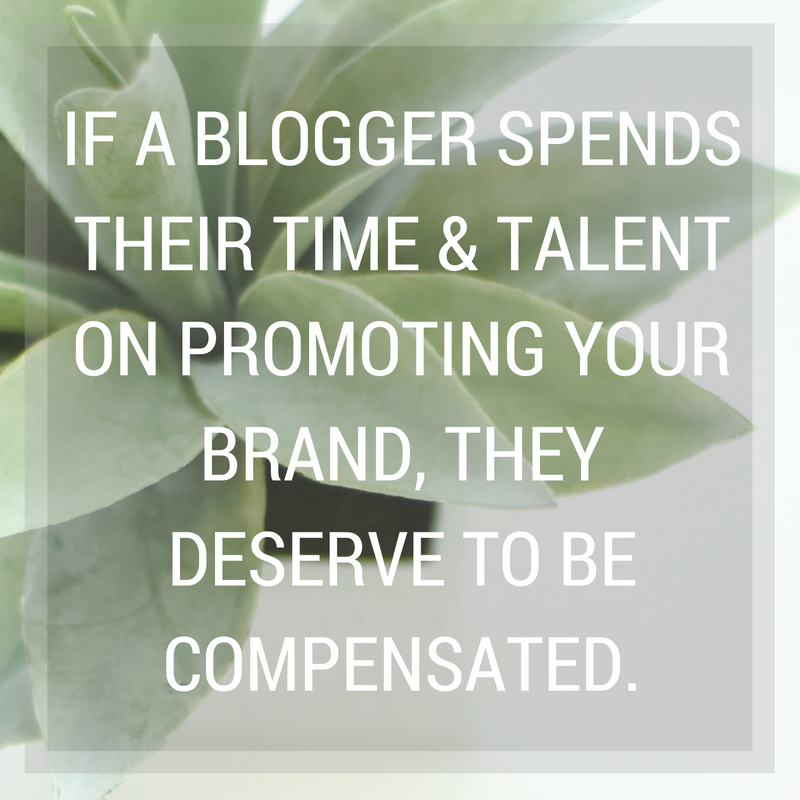 Bloggers, if a brand isn’t willing to see your worth and compensate you what’s appropriate for your time and talent, then they’re not worth working with. I know that can be a hard pill to swallow, especially if they’re a brand that you’ve loved for a long time. Trust me, I have been there. I know. If you’re a representative of a brand and you’re still reading, thank you! I appreciate it. All of us bloggers appreciate it. To help you understand all of the work and time that goes into creating content, keep on reading. Bloggers spend hours upon hours coming up with sponsored content (and content in general). We don’t just write up a post in 30 minutes and publish it. No, we actually take the time to brainstorm and dig into our creativity for every single post. Sometimes brainstorming and coming up with a rough outline for a sponsored post can take me at least an hour. Now, there’s photography. Photography is huge part of what makes a great post, especially a sponsored post. But great photography isn’t always the easiest thing to achieve. You have to take lighting and time of day into account, as well as location, especially if the photos are going to be outdoors or somewhere away from the home or office. Taking proper photos for a post can sometimes mean traveling. That means we’re using up gas and even more time to create awesome content. Then, there’s the editing – we can’t forget that. Editing can take me anywhere from an hour to two hours, depending on the project. This, off course, on top of an hour or more from taking the photos. 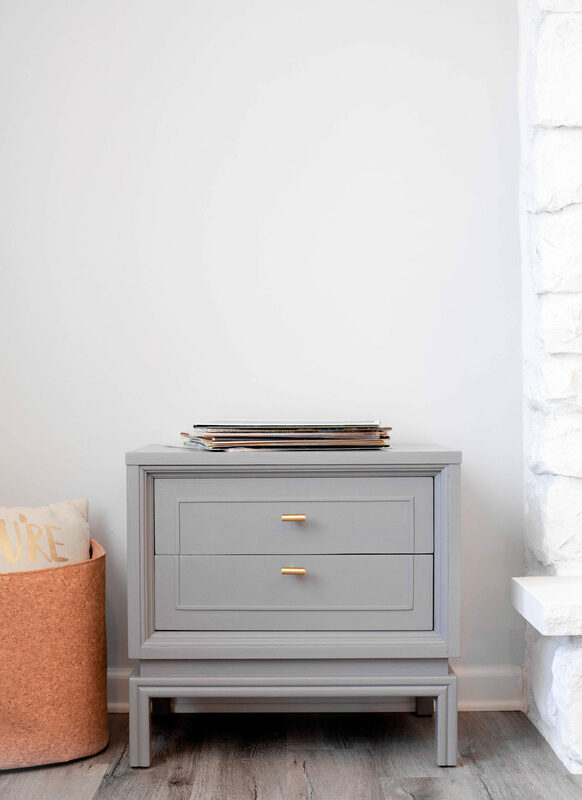 After a blogger has come up with a creative outline and has finished editing all photos for their post, they start to write it and piece it all together. Every blogger works differently, but a blog post with real, genuine substance to it should take at least an hour to write. At least. I have spent up to 5-6 hours editing and finalizing sponsored posts. Why? Because I want to put my best foot forward in not only representing the brands that I love well, but also, so that I can represent myself well. 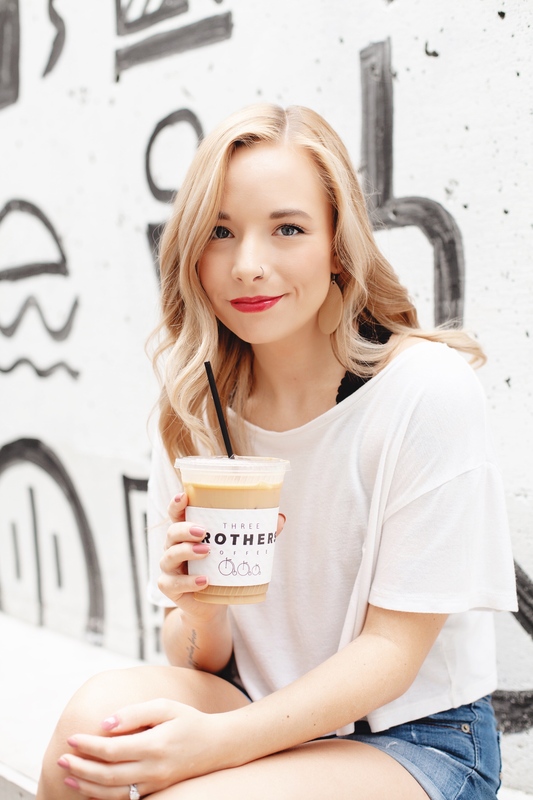 Bloggers spend so much time developing their blogs and social media platforms to become a place of community and authenticity. Our audience and followers trust us. They believe that what we’re sharing with them is real and authentic. The trust we’ve gained from creating an authentic online presence is worth so much. When we share your brand with our readers and followers, we’re giving you a huge boost and bringing much attention to your brand. That is worth so much. Bloggers are great at what they do. You, as a brand, clearly know that. If you didn’t, you wouldn’t keep reaching out and trying to get us to work with you. You know that we have influence. You also know deep down that our influence is huge for your brand. So, why don’t you start acknowledging our worth as bloggers (and people) and actually pay us the compensation we deserve. Here’s to hoping that one day the very wide gab between bloggers and brands can finally be no more. Let’s seek to understand each side. Let’s be kind and respectful in this process. Bloggers, keep putting your best work out there for the brands that appreciate you.